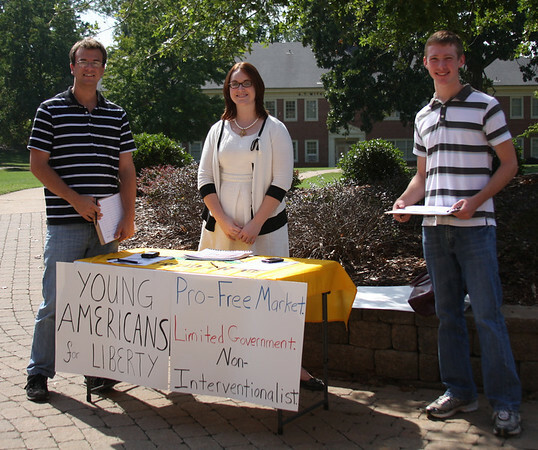 Young Americans for Liberty visited campus to meet up with some student members of their organization. They set up in the quad to recruit new members. The members visiting are Tyler Millage[far left] and Amanda Prevette [middle]. Jacob Vandenbark is on the right talking to the Yaliberty proponents.